You are invited to Yet Still I Rise! 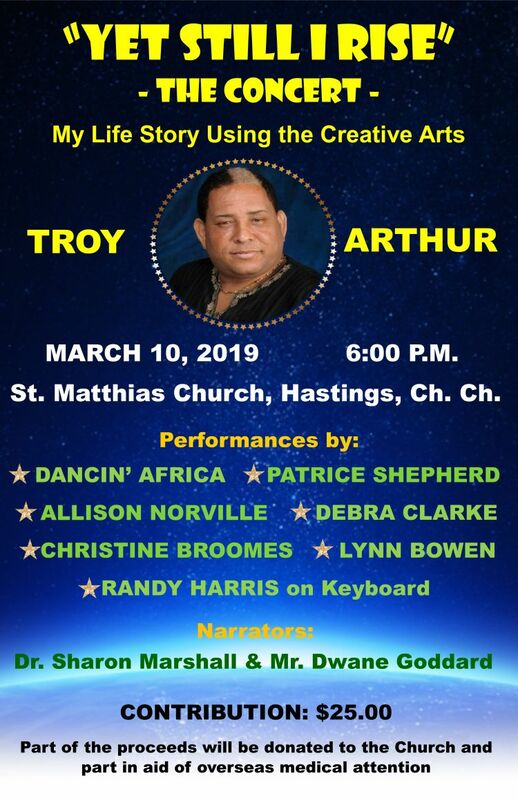 - The Concert: My Life Story Using the Creative Arts with Troy Arthur. 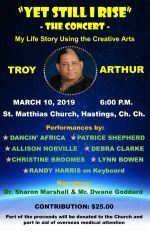 The event is a fundraising Gospel Concert presented at the St. Matthias Church. Narrated by Dr. Sharon Marshall and Mr. Dwane Goddard. Part of the proceeds to be donated to the church and part in aid of overseas medical attention.